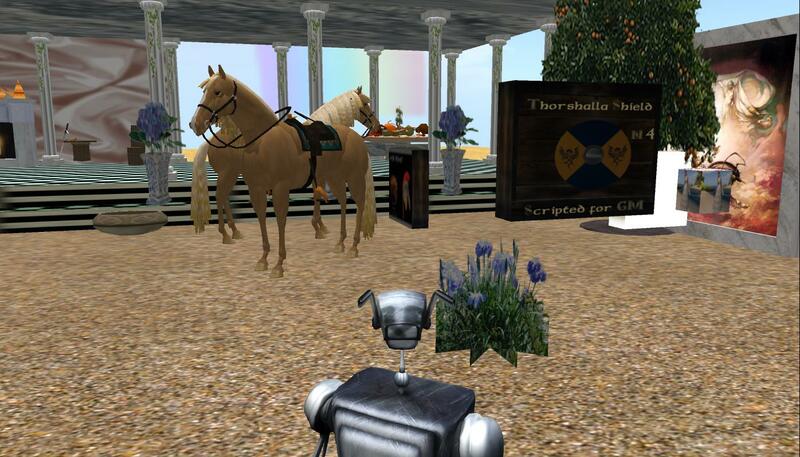 SL, History lessons in High School – and huge technical problems! 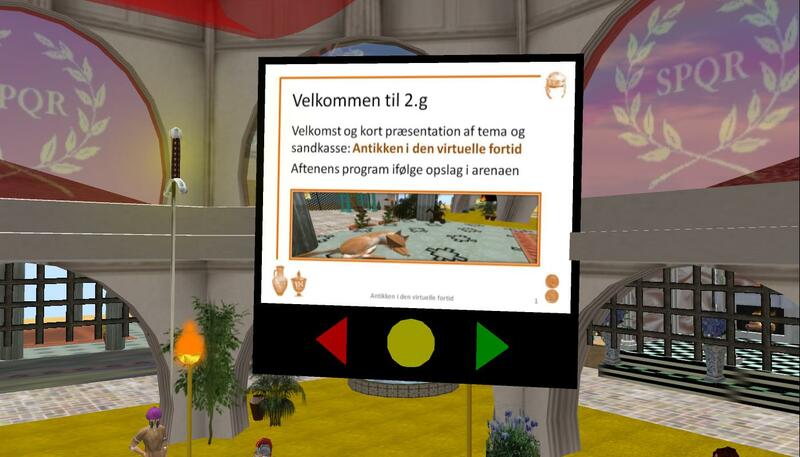 This is the third post of five describing the work of the students from the PD class, I’ve been running since December 5th, 2011 with students from the Master’s Program on ICT & Learning (MIL) at Aalborg University where the students have to do presentations in-world. 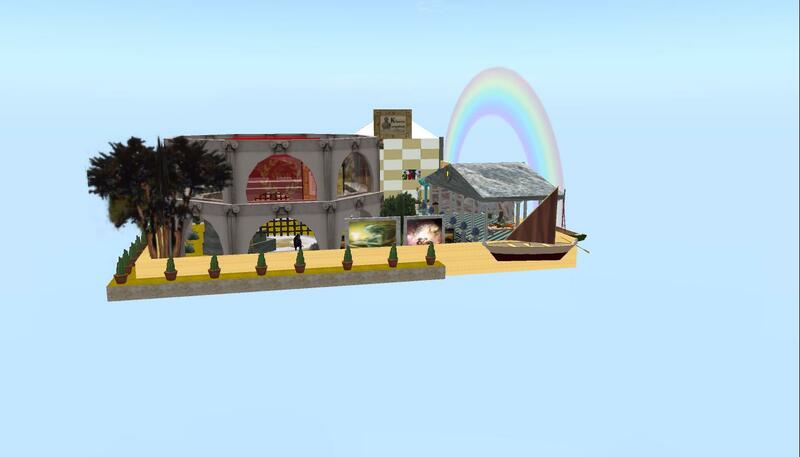 Background information on the course/the presentation task can be found in this first post, and here’s the link to the second post. 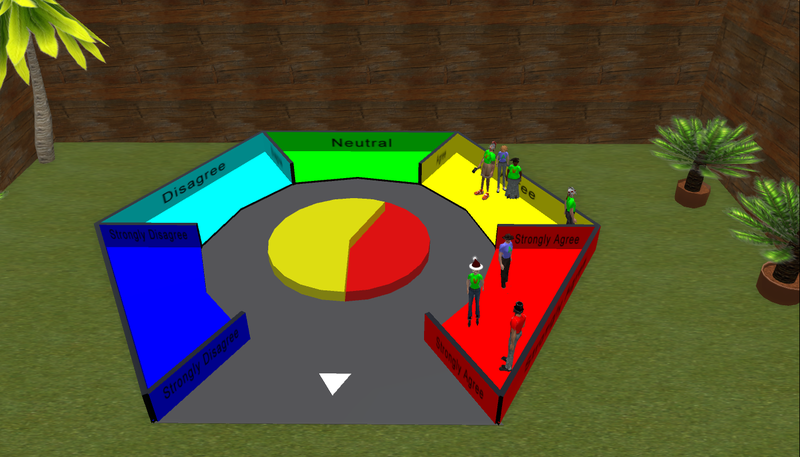 On Thursday, January 19th Team C had to present their analysis of SL as teaching and learning environment. Unfortunately, this session was shattered by technical problems; approx. half of the participants, incl. 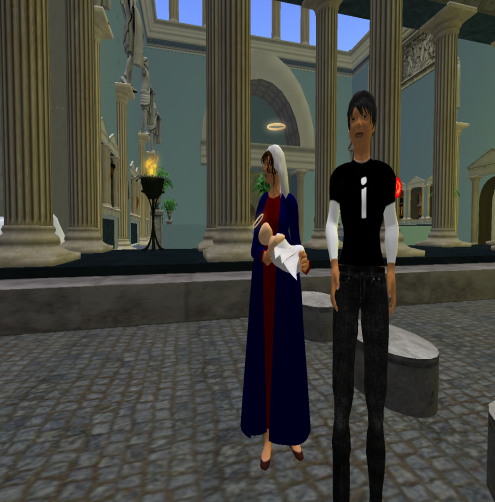 members from the presenting team and I, had huge lag and/or audio problems. Hence, this post is based on whatever I could pic up via the text-chat, my co-facilitator’s feedback, and the materials Team C had prepared for the session. Team C: JoeChipmunk, sjostakovitch, laserquik, and Sinafish – all dressed up for the presentation. 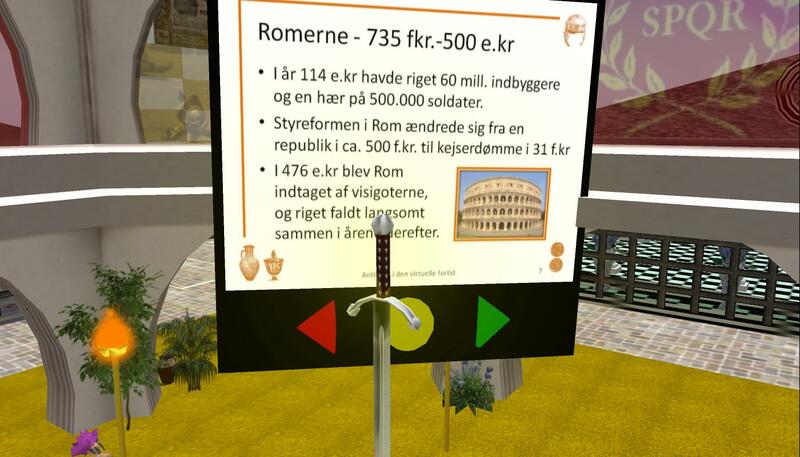 How can History lessons at High School level be facilitated and remediated through a virtual 3D-medium such as Second Life? 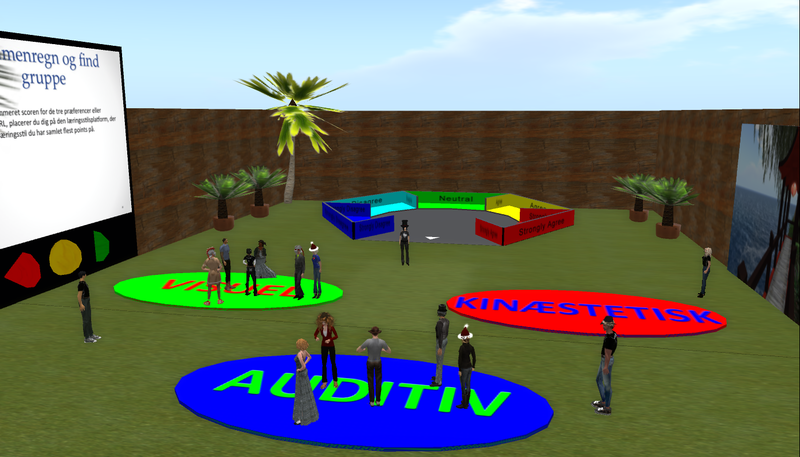 Team C’s target group was junior-high students (thus assuring they’d all meet the legal SL user age limit) with some SL experience and a fair amount of History knowledge. December 17th; Team C quickly felt at home in their sandbox. December 25th; Team C experimenting with different designs. December 28th; Team C’s design inspired by what looks like ancient Greek history. 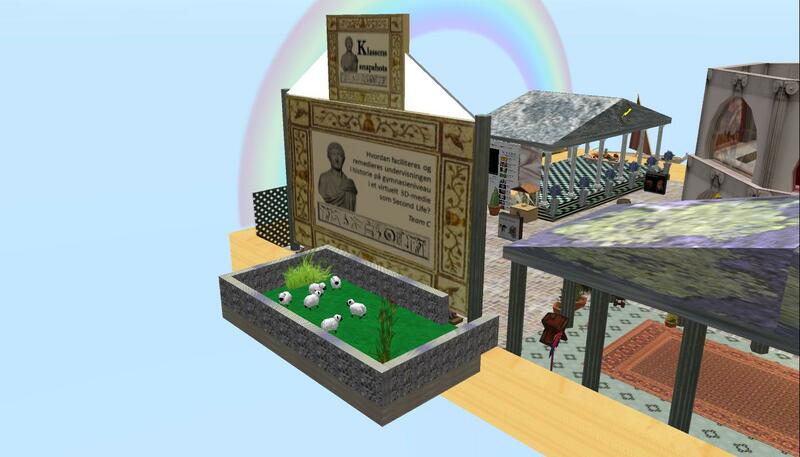 December 28th also showcased Team C’s investigation question on the use of SL to teach History at High School level. Team C presenting their midway status on January 3rd. January 11th; Any sandbox should have a horse .. or two! January 15th; Like some of the other teams, Team C needed more space, and started building on the sides of the sandbox. Also from January 15th; animals are continuing to invade Team C’s sandbox. Team C meeting on January 18th to prepare for their presentation. 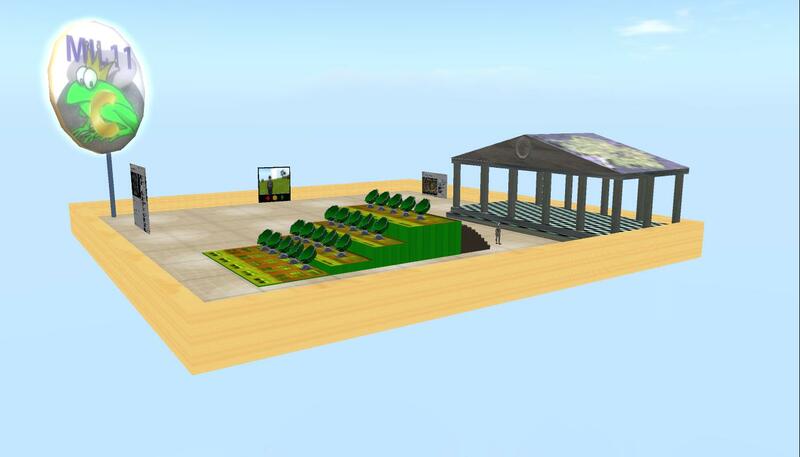 8:00 PM: Take a tour of the sandbox to familiarize yourself with the setting, take a seat in The Arena. 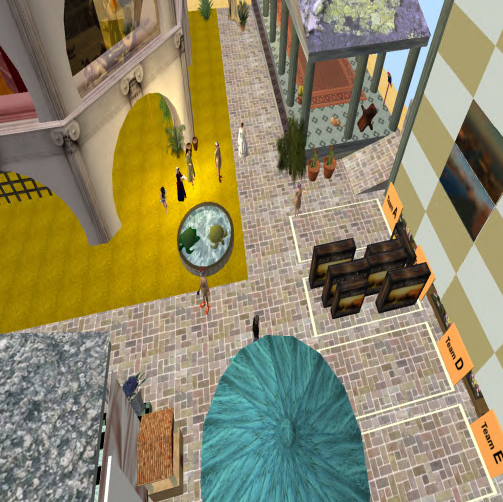 8:10 PM: Welcome, short introduction to the agenda for the “class”, and short introduction to historical periods and locations in SL. Team C’s agenda was nicely displayed on the walls in the arena. Team C welcomed us, pointed our attention to the agenda on the wall, and then explained that we would get a brief overview of the two historical periods that this “class” would cover. 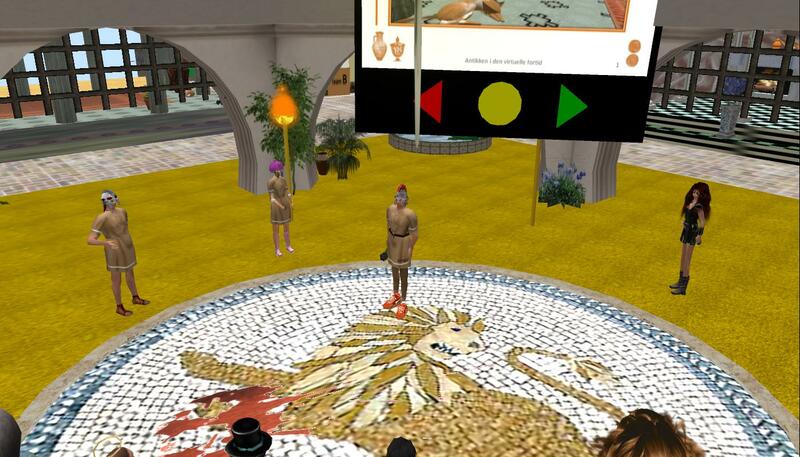 At this point, several participants already had lag and/or audio problems. 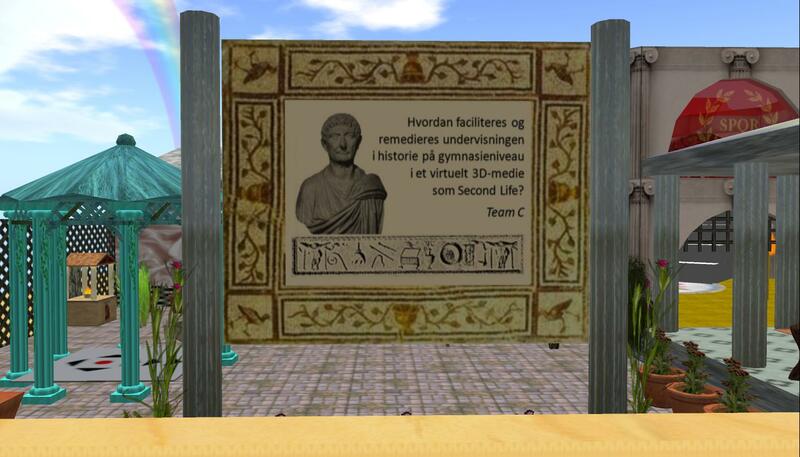 … and the Roman period. The field trips were designed as exploratory tours, where the “students” should gather information, take pictures, and collect freebies. After the field trips the students had to present their findings to the rest of the “class”. One of Team C’s members, JoeChipmunk, also had audio-problems, and I stayed back in their sandbox to see if there was anything I could do to help. Despite numerous relogs, preference check and so forth nothing really helped, and JoeChipmunk finally encouraged me to join the field trip to The Etruscan Museum, while he stayed and tried to solve his problems. Arriving very late at the museum, I didn’t really get a good sense of what was going on, and I only took a few pictures. Team C’s Stinafish at The Etruscan Museum. 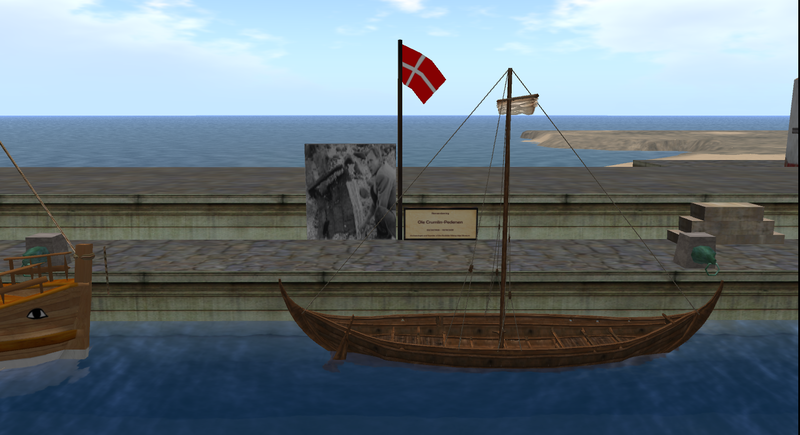 As part of the Ars Novalis Virtual Shipyard, there’s a Danish Viking ship in memory of the founder of Roskilde Viking Ship Museum, Ole Crumlin-Petersen (1935-2011). Happytown & Anina gladly grabbed the opportunity to dress up for this historical themed session. At approx. 8:40 PM, Team C asked us to go back to the team’s sandbox for further instructions for the next field trip. 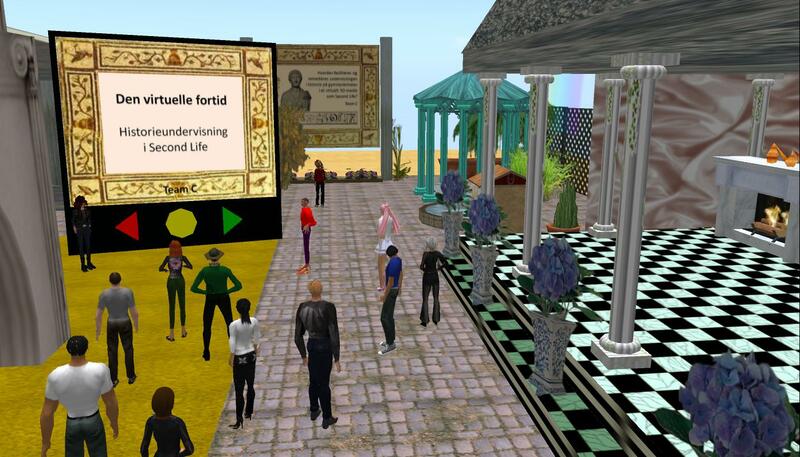 At this point, I began experiencing heavy lag, and several of the other participants also complained about various technical problems. 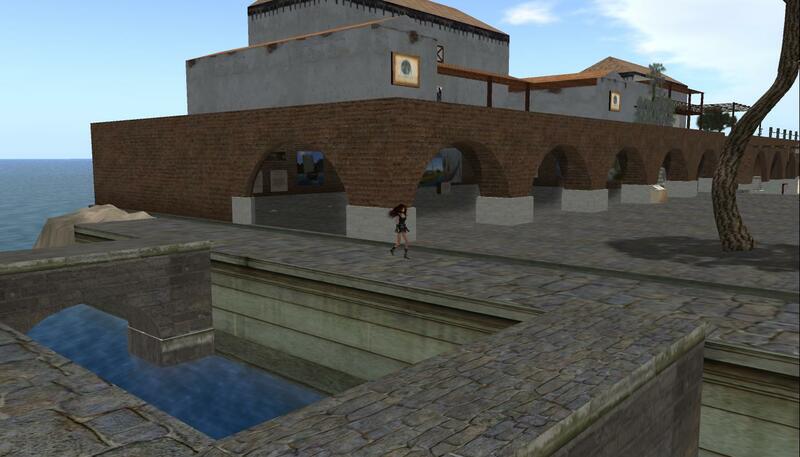 Nonetheless, we headed off to the next destination; one of SL’s oldest historical rebuilds: ROMA (SPQR) . Arriving at ROMA, I could hardly move and I finally ended up stuck in a wall and decided to relog. 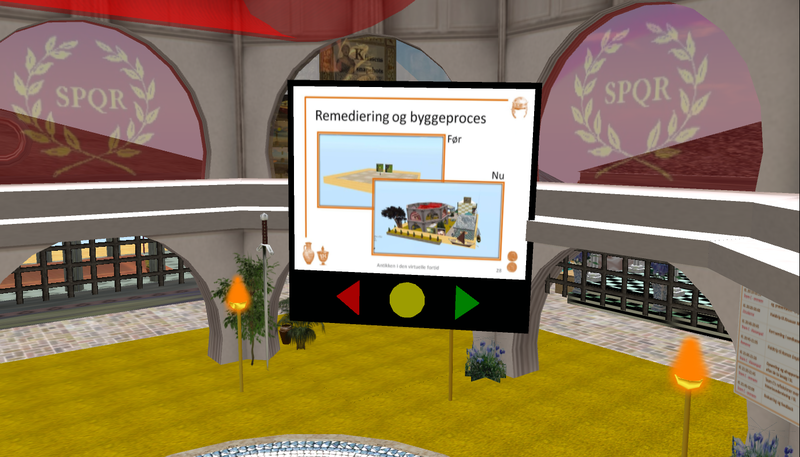 Since that didn’t help, I went back to our class sandbox, and here I realized that my speak-button was no longer active. For the next 20 min. or so I tried shutting down my computer, reinstalling SL, I tried the Firestorm Viewer, and relogging – but nothing helped. Meanwhile, JoeChipmunk’s speak came back, but two other members of the team now had inactive speak-butons, as did several of the other participants. The “lucky” participants, with no technical problems, later said they had experienced the session as one of the most smooth in technical terms. Fortunately, my co-facilitator, Inge was one of the lucky ones with no problems, and the following 4 pictures were taken by her. Inge at ROMA – also nicely dressed up for the occasion. Team C’s laserquik is easy to recognize with his orange sneakers. 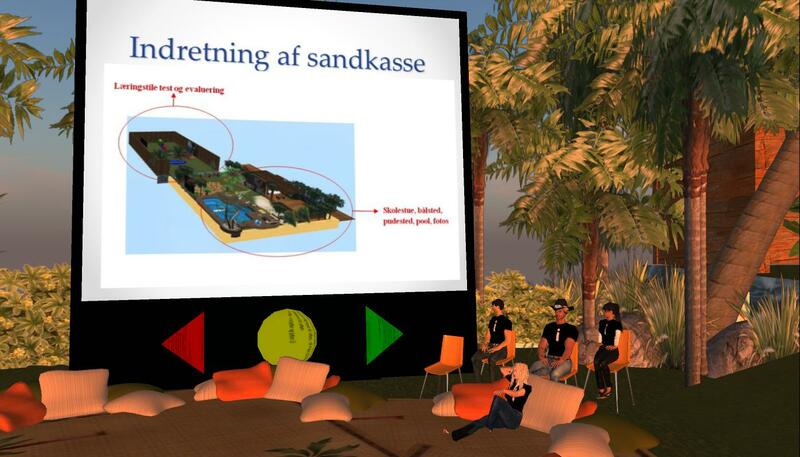 Back in Team C’s sandbox, the other teams had to present their findings from the two field trips. 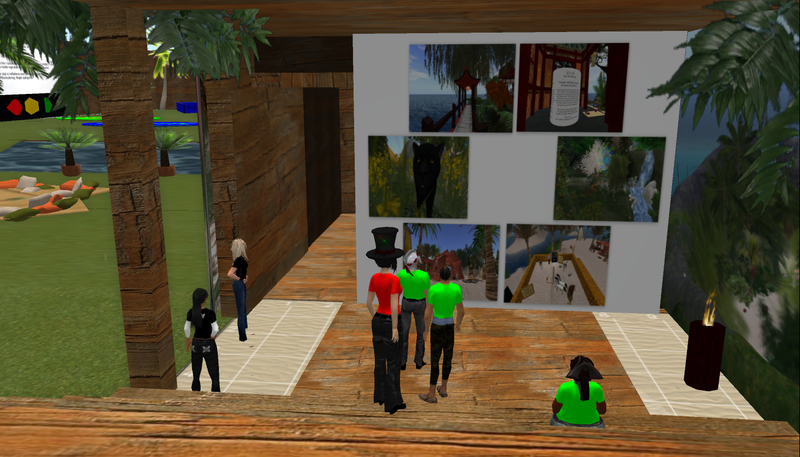 Back in Team C’s sandbox, the “students” had to present pictures and objects from their field trips. 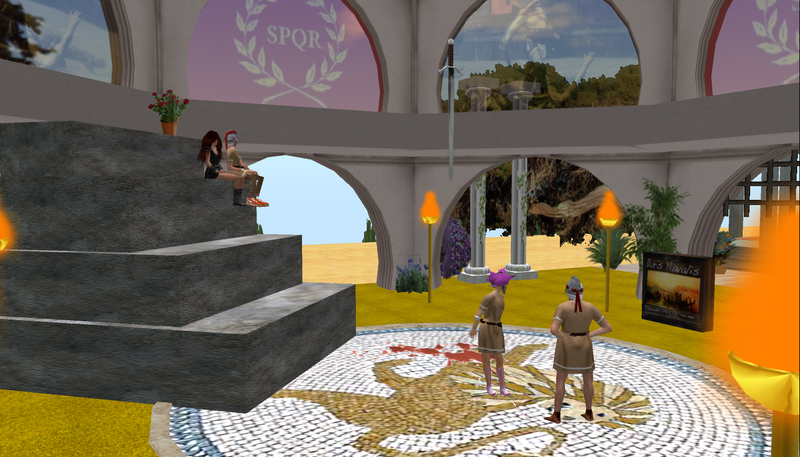 ROMA is a no-speak island, and so several of the participants did not realize that they had audio/speak problems until they came back to Team C’s sandbox. At this point, Team C wrapped up the first part of their session, where we, the audience, had acted as High School students, and now they wanted to focus on their theoretical considerations and design choices in relation to their investigation question and overall theme. 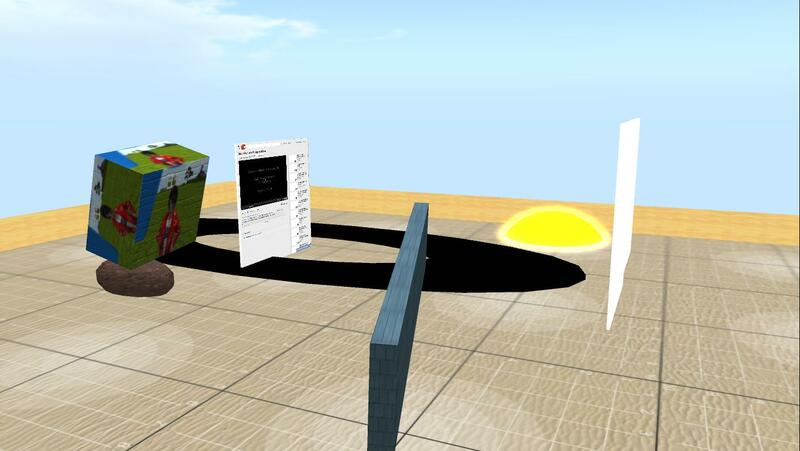 One team with audio problems solved it by transmitting one member’s sound via Google Plus, others tried Skype, and from the presenting team only sjostakovitch and JoeChipmunk had voice, and so this final part of the session was a very frustrating and disruptive experience. At this point, I want to acknowledge the resilience of Team C, I was very impressed with their willingness to try to continue and finish their session despite all the technical problems! Again because of all the problems, I didn’t manage to document this part of the session in detail, but from the team’s manuscripts and the text-chat, I know that Team C, based on their investigation question, started to explain about some of their theoretical inspirations (Dewey and Dede), and they had some very thoughtful concerns regarding the target group’s possible acceptance of/and behavior in a medium such as SL. 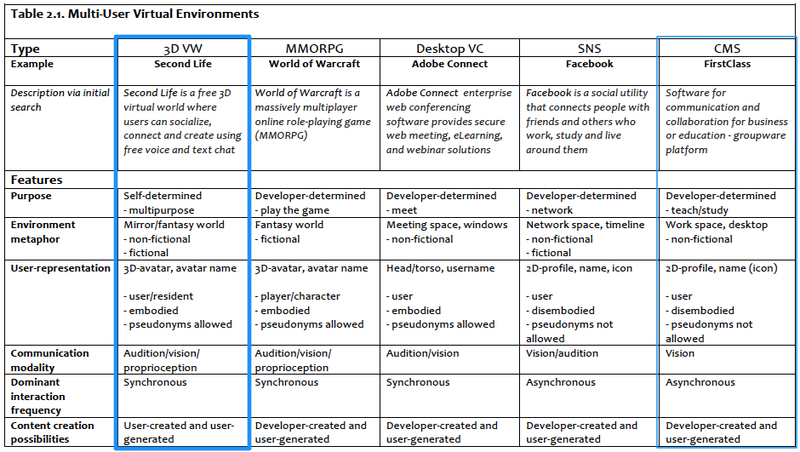 Team C had also been inspired by the COI-model, and the different types of presence. Inspired by the COI-model, Team C had planned to register indications of the three types of presence during their session, but Team C’s Stinafish, who was in charge of this part, unfortunately also had different technical problems, and I’m not sure if she managed to do so, and anyway at this point in the session, she had no voice. On the positive side, the two Team C members with voice, were able to fill in based on the teams well-prepared manuscripts, and this was another indicator of the team’s thorough preparation of their presentation. The team’s lead designer, JoeChipmunk had some interesting reflections on some of the challenges you face, when trying to replicate our past as the team had tried to do in the sandbox. 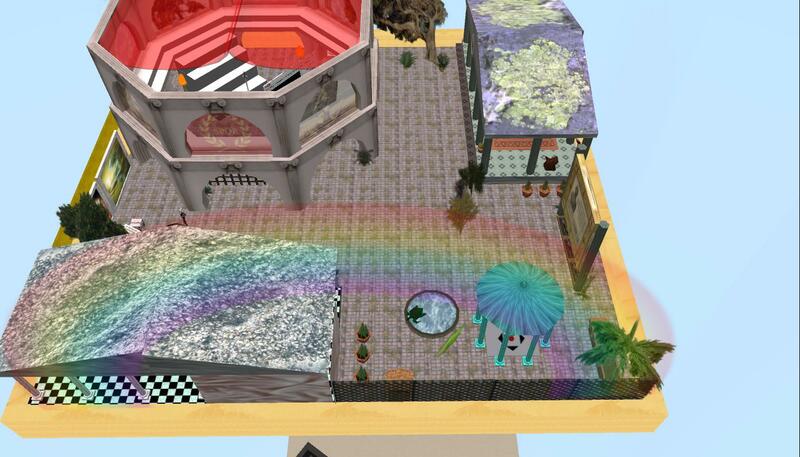 The point of departure for the sandbox design had been a respectful remediation strategy, but with the target group in mind, the team had also decided to add “mystical” elements such as the rainbow, animated animals, air floating ships, and giant posters. JoeChipmunk also explained, how he had been forced to consider the authenticity of the different objects (e.g. did this kind of plant/animal exist at that point in time/in that part of the world), and in this sense, building in SL had sharpened his perception of history, validity of sources etc. 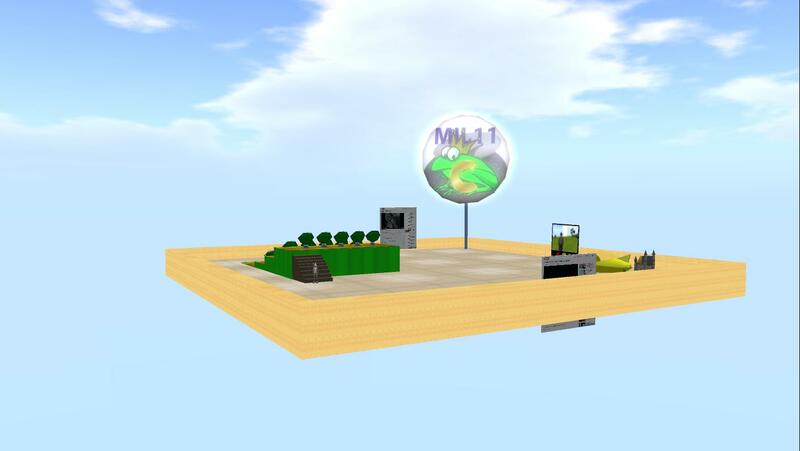 Team C’s sandbox’s own history. Despite all the technical problems, there was no doubt that Team C had prepared a very good and interesting presentation. Needless to say, the technical problems completely overshadowed their efforts for those of us experiencing problems, and it was so sad and unfortunate that the team members also had problems and didn’t get to present their hard work in the way they had envisioned. All of us felt terrible for the team, and many of Team C’s classmates sent them supporting comments in our regular 2D (and very stable!) platform afterwards. 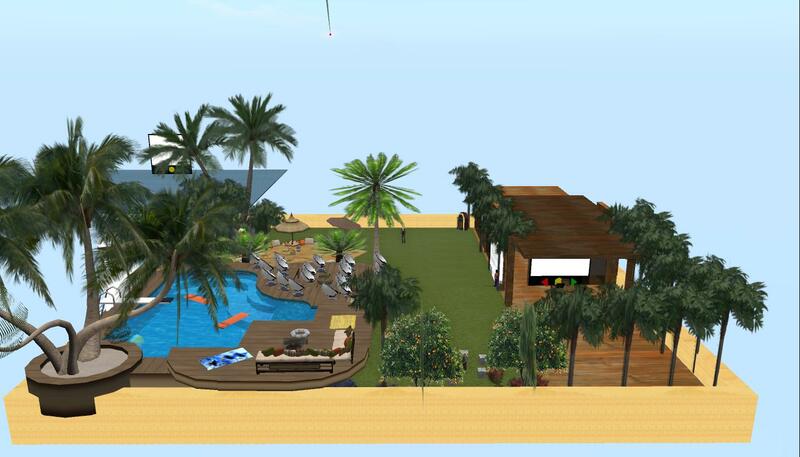 Having been in SL for almost 5 years now, I have come to expect occasional technical break-downs, but I have to say that this was my worst SL experience ever. Throughout the course, I monitor the students’ activities closely, and I know just how much work they put into these presentations – it’s simply amazing! So to have such a terrible outcome was really, really sad. We’re still not sure as to why we had so many problems, but it seems to be a combination of Internet instability (at least for some of us with a certain Internet provider in certain areas of the country), and local island problems. 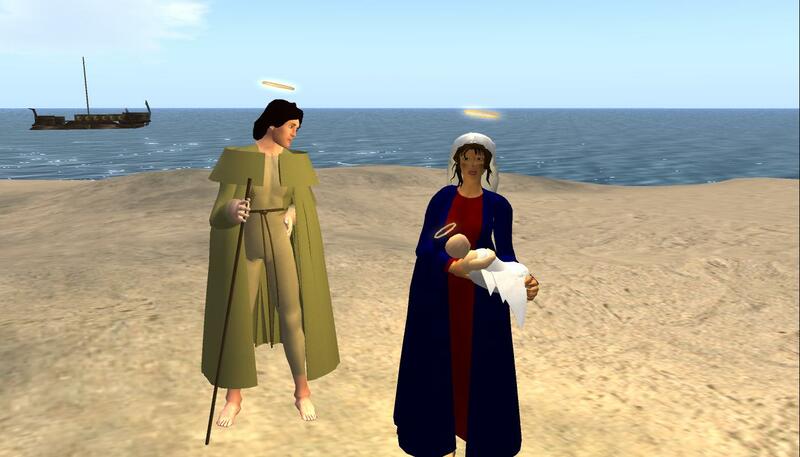 The speak problems continued the day after, but were resolved after Inge restarted the island. Next team is scheduled to present tomorrow, and we are crossing our fingers …. 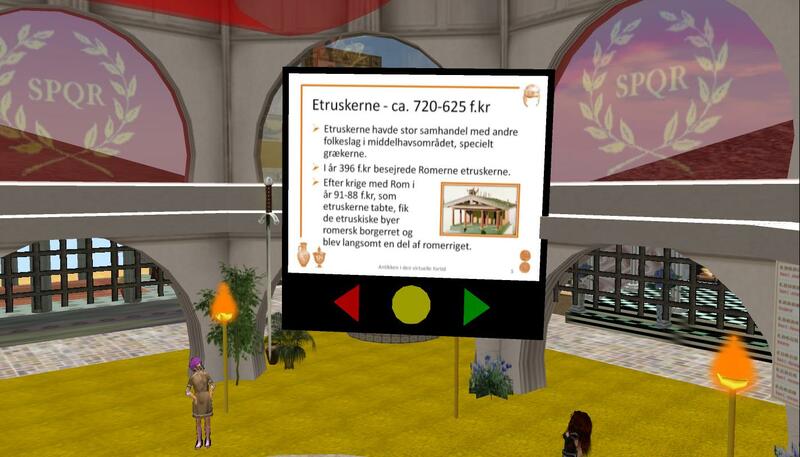 This is the second post of five describing the work of the students from the PD class, I’ve been running since December 5th, 2011 with students from the Master’s Program on ICT & Learning (MIL) at Aalborg University where the students have to do presentations in-world. 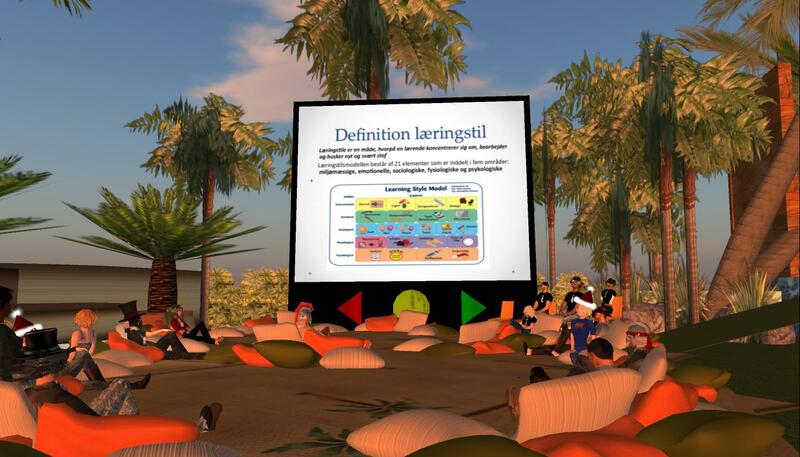 Background information on the course/the presentation task can be found in this first post. 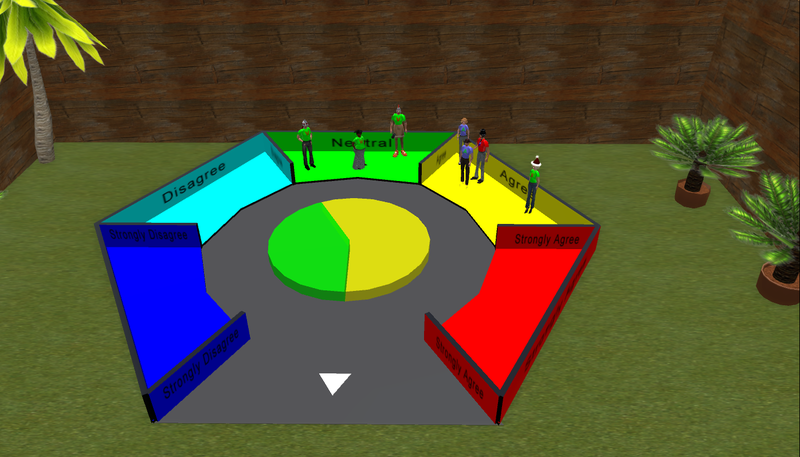 On Tuesday, January 17th Team B had to present their analysis of SL as teaching and learning environment. Team B; Efus, Yeps, dirkovski & JaneOlga with matching team t-shirts. 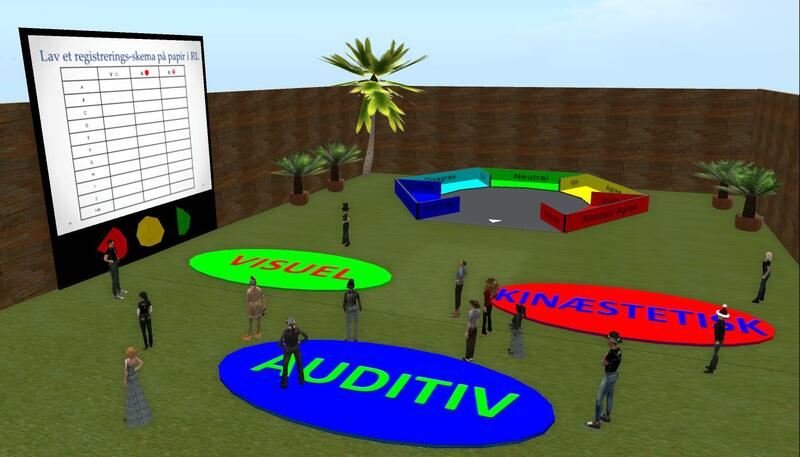 How can SL facilitate Dunn & Dunn’s learning styles as pedagogical platform, and in what kind of collaborative activities can they be included as part of a learning process? In their work, Team B had tried to design for a target group of adult professionals between 40-60 years with some SL experience. 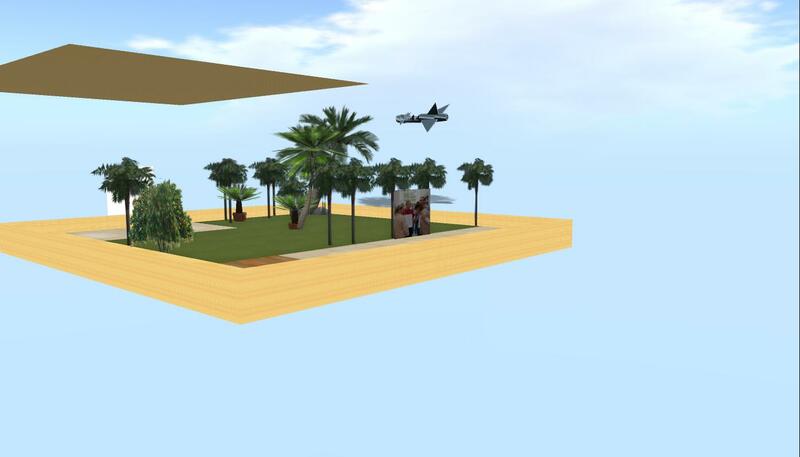 December 17th; Team B has started to experiment in their sandbox. 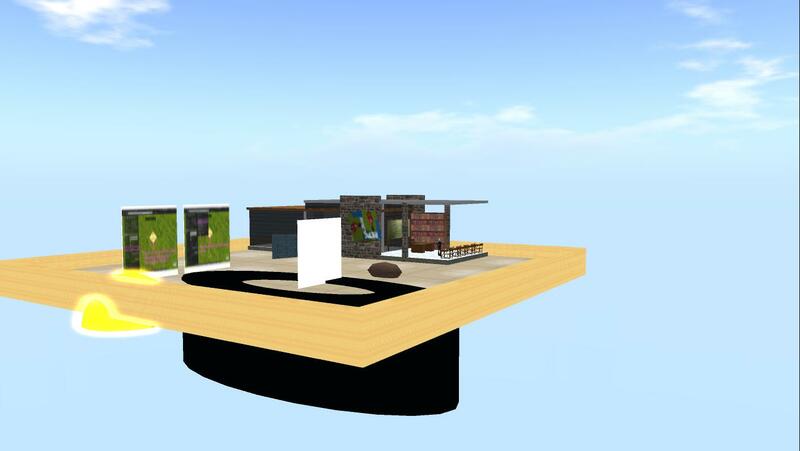 December 18th; Team B’s sandbox rapidly changes appearance. 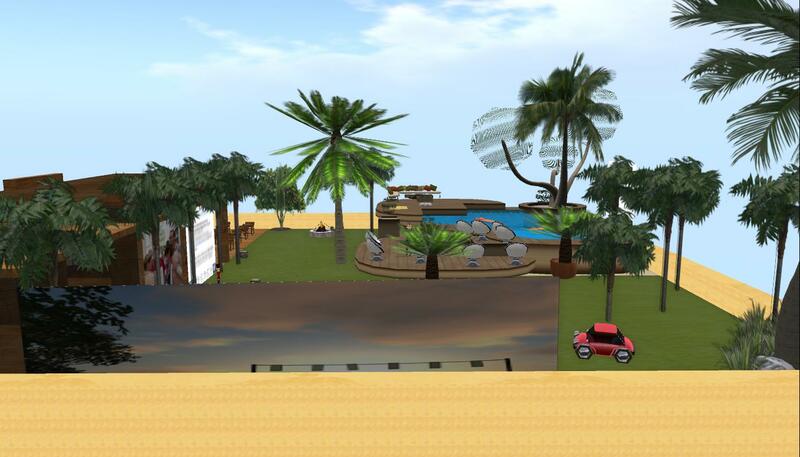 On December 19th, I visited Team B’s sandbox and spoke with Yeps and dirkovski about their design. 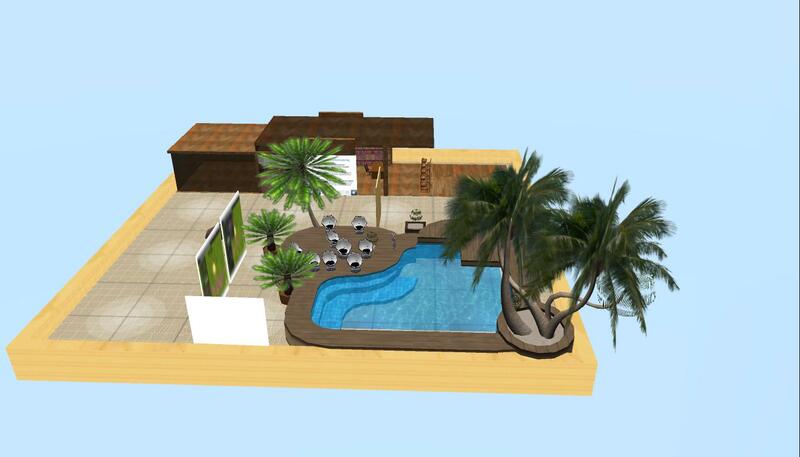 Later on December 19th Team B’s new pool area was almost finished. December 26th; The need for more space is solved by conquering the sandbox’s air space. December 31st; Team B’s sandbox addition is starting to appear in the South East end. Team B’s midway status presentation on January 3rd. January 11th; Team B’s sandbox is almost done. On January 15th, I met briefly with dirkovski from Team B to discuss different in-world audio possibilities, and the planning of their presentation. For the theoretical inputs we were all comfortably seated in the cosy pillow-area. Team B started by introducing their investigation questions and explain their interest in trying to combine the Dunn & Dunn learning style model with activities in SL. We were also given a brief overview over the many different types of learning style models, and Dunn & Dunn’s specific model was presented as a cognitivist perspective on learning focusing on how we, through our senses, collect and process information. The 21 elements of Dunn & Dunn’s learning style model. Team B also explained how they, in their design of the sandbox, had tried to accommodate different learning styles, and they gave us a very interesting glimpse into their joint design process. Team B explaining the design (process) of their sandbox. 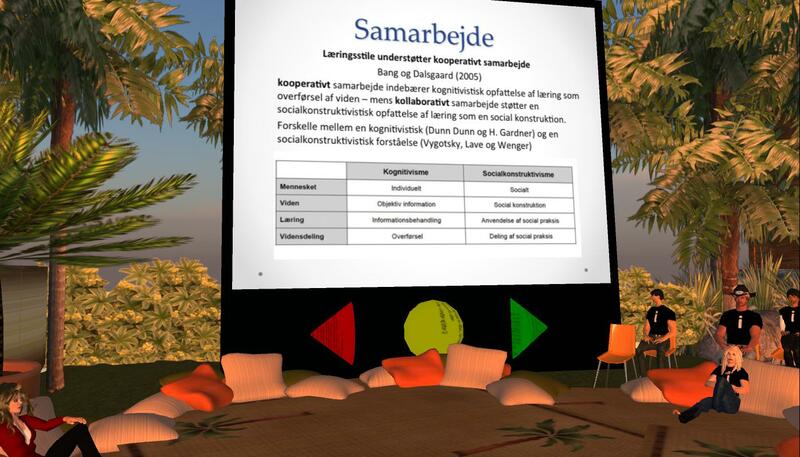 As Team B explained, with reference to Bang & Dalsgaard, one of the problems with this kind of cognitivist learning perspective is that it tends to focus solely on learning from an individual perspective, but the Team wanted to try to combine this with a more social constructivist perspective through design of different activities (that we as audience were asked to participate in). Cooperation or collaboration – what’s the difference? Furthermore, in their work Team B had also been inspired by the COI-model that focuses on different kinds of presence necessary to obtain a satisfactory educational experience; cognitive, social, and teaching presence. 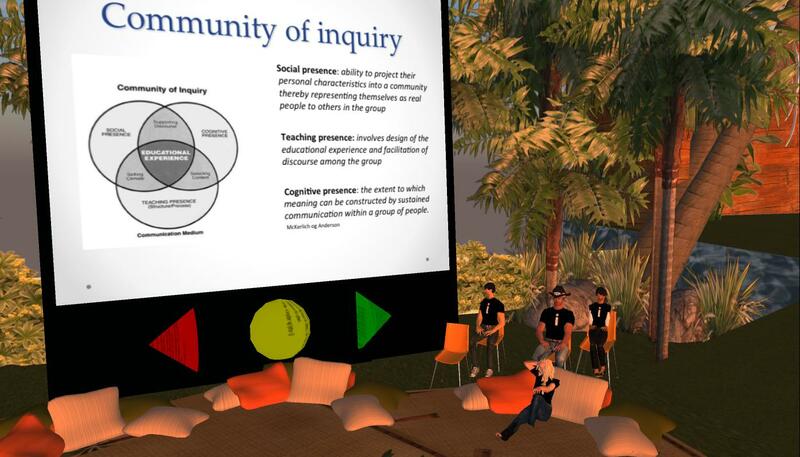 The Community of Inquiry model in focus. 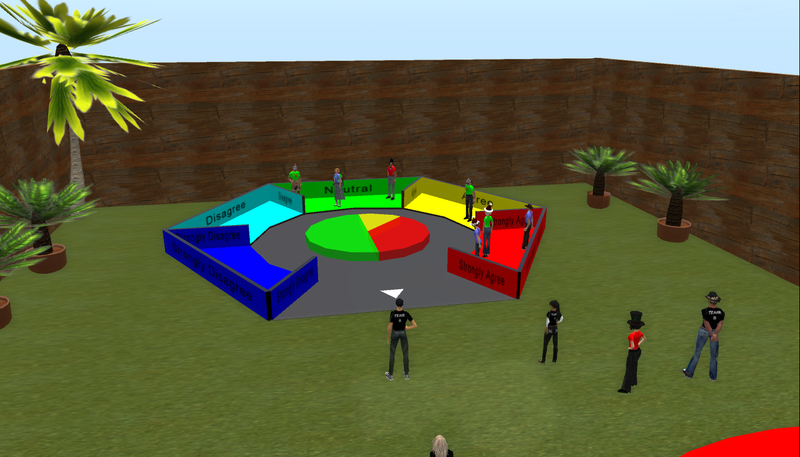 After the theoretical introduction, we were asked to move to another part of the sandbox, where all the participants had to complete a learning styles test. MIL11 students answering the Learning Style test. 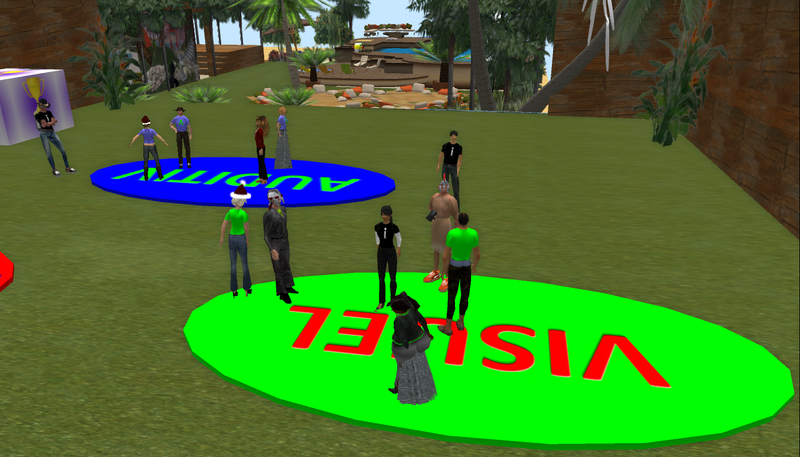 Result: No kinesthetic learners among the participating students. 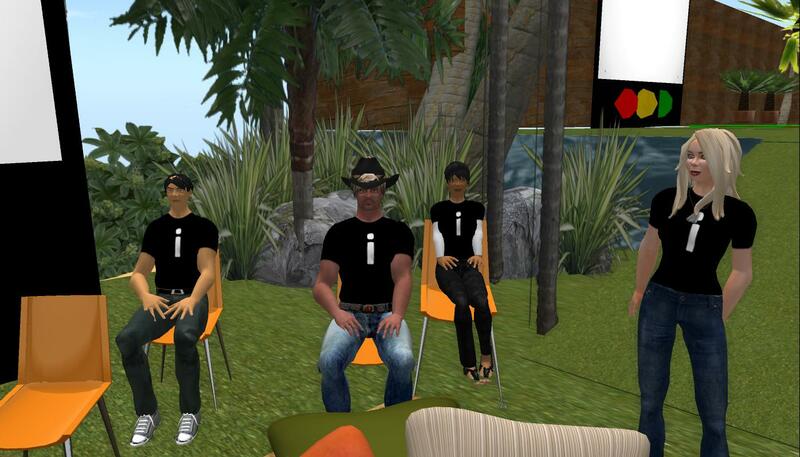 As a very nice detail the students were given t-shirts matching their learning styles. 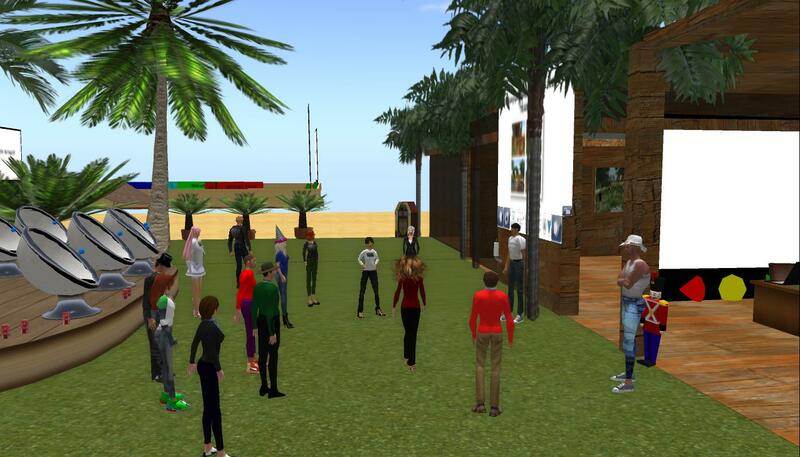 After the test, the participants were placed in three groups, and all groups now had to go to two different locations to complete small exercises. The exercises were designed to match three different learnings styles; auditory, visual, and kinesthetic – Team B had wisely chosen to disregard Dunn & Dunn’s forth tactile learning style. We were also told that there was a certain gaming element to the exercises, that the groups had to collect points, and that a winner would be announced by the end of this activity. 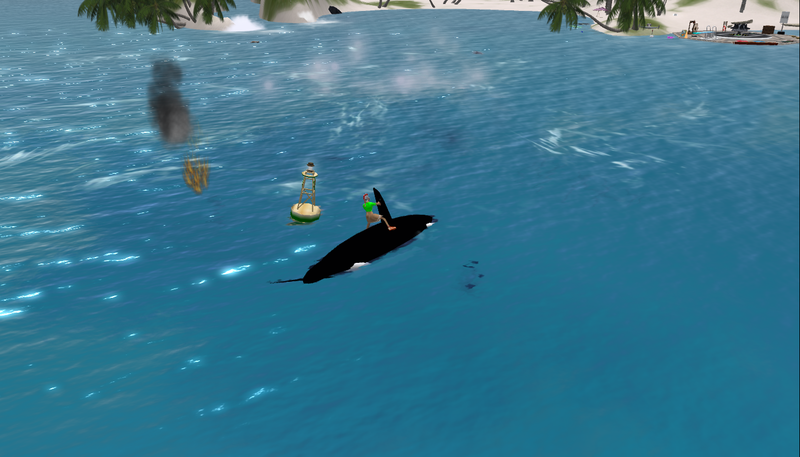 laserquik turned out to be quite good at riding the Orca killer whale! 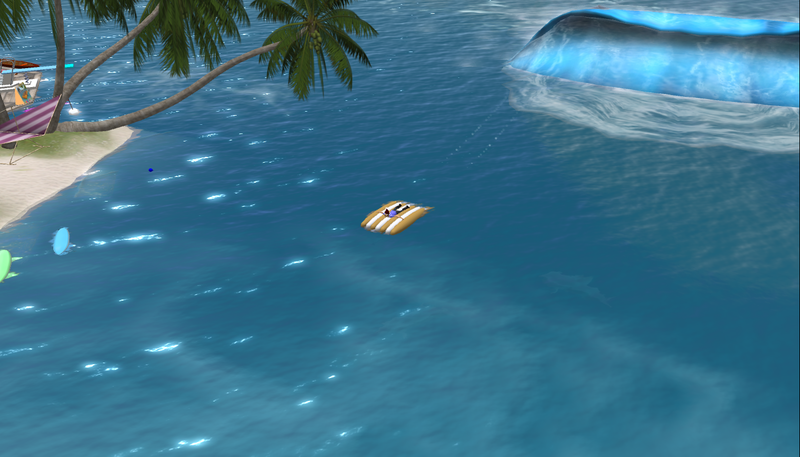 Happytown chose the Jet Ski. … and so did Ingma. Inge, however chose the inflatable wave jumping mattress. Meanwhile, JoeChipmunk enjoyed a gold dive in the mountains! When group 3 had finished this exercise, one of the other groups came along, and I decided to move on and follow another group. Back in Team B’s sandbox; Group 2 had to memorize the pictures on the display, and go to New Earth and find the specific locations/items. 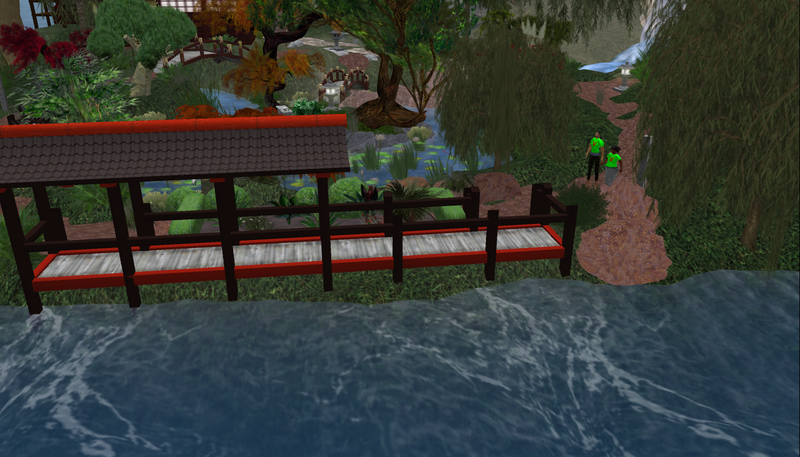 mouritzen and Ilikespace quickly found the bridge and received their first points in this exercise. 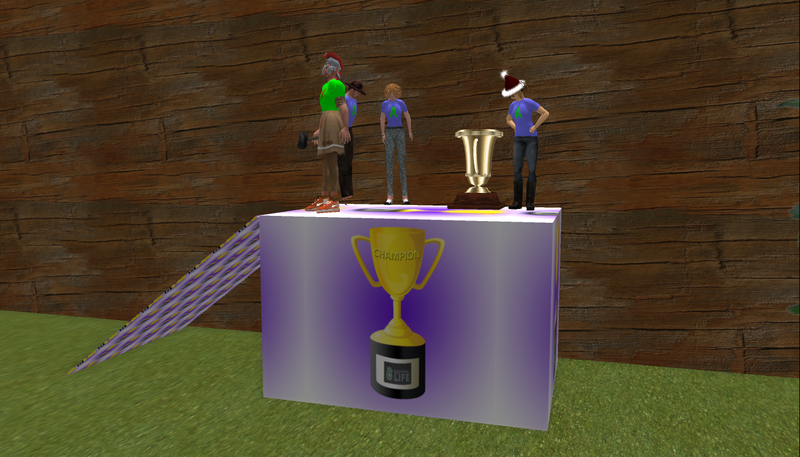 And the winners were; laserquik, Happytown, Ingma & Inge – W00t! Team B had prepared a very nice podium for this activity, and they had even taken the time to “engrave” the trophy – another very nice design detail! It was time to wrap up the experiences, and for this purpose Team B had prepared three statements, and the participants were asked to enter the Opinionator. 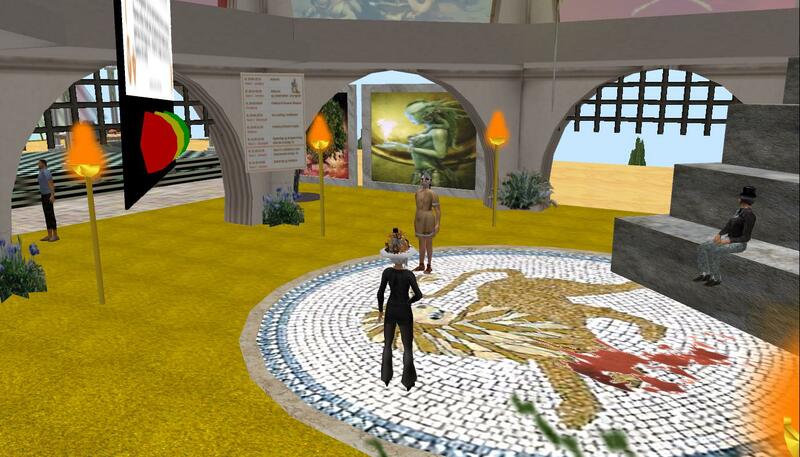 1. statement: SL is a suitable platform for working with the three learning styles! 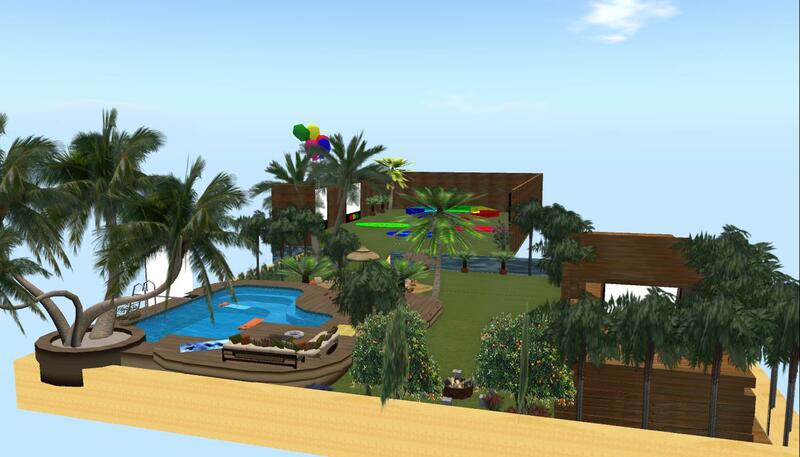 2. statement: Of course it is possible to work with both learnings styles and collaboration in SL! The final statement, was bold and fun: “Today’s presentation has been well-designed and has fully covered (the COI model’s) social, teaching, and cognitive presence, and I have learned a lot!” As I told Team B, I’m not a fan of learning style models, especially not those without learning theoretical foundation such as Dunn & Dunn, but that was not an issue in relation to their presentation. Basically, Team B chose to focus on different modalities and explore their potential in relation to SL, and it made good sense. Team B managed to make a convincing case of combining modalities and collaborative activities. 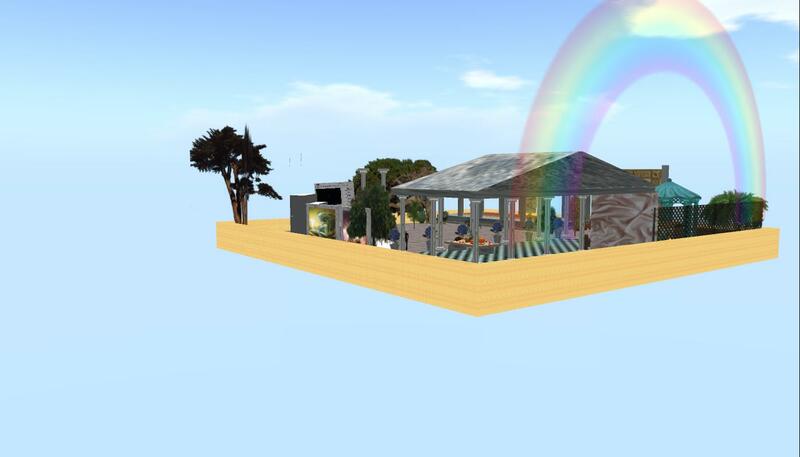 The sandbox clearly reflected their theme and investigation question, and their presentation was filled with nice little details that demonstrated the hard work the team had put into it. Coffield, F.; Moseley, D.; Hall, E. & Ecclestone, K. (2004): Learning styles and pedagogy in post-16 learning – a systematic and critical review. Published by the Learning and Skills Research Centre.